Invite people – usually a combination of band 3-4-5 staff, from different areas works best. If you invite people all from the same team, it can turn into a team meeting rather than individuals talking freely about what they would like to change. Send out the workshop FAQ so people know what to expect, and a youtube link too if you like. Book a room – you’ll need 15 mins set up, 90 mins for the workshop and 15 mins to tidy away after. Don’t forget you’ll need your PC/laptop, a screen or projector. You’ll need wifi or internet connection if you want to run the youtube videos. Get your resources ready! Print out mission pack for each person, a workshop pack and questionnaire for each person, an agenda, and a register. The cog set we use is from amazon https://www.amazon.co.uk/Quercetti-2341-Georello-Kaleidogears-55pc/dp/B00000J048/ref=sr_1_3?ie=UTF8&qid=1530108032&sr=8-3&keywords=cog+game but any similar one will work. We find a flip chart and pen useful. Someone will need a stopwatch on their phone for the 15 second challenge. Put up some signs! Often people are going to a bit of the hospital they haven’t been in before: if you can offer a mobile number too so they can ring if they are lost – what a great #15s30mMission! Have a run through the agenda and decide who is keeping track of time. Its also worth asking if you can take pictures as it’s a great way of sharing with your trust – and us!- what’s gone on. Do you have a trust newsletter? Or a departmental meeting you could report back to? May sure the missions are TARDIS friendly; some ideas are good ideas for change, but not as a quick 15s30m mission. Take a picture of them holding up their mission packs and send to us via email if they are happy for them to go on the website. Send out the questionnaires again 4 weeks later – and do send us the results please! Then get ready to plan your next workshop! 15s30m stands for 15 seconds, 30 minutes – taking a few extra seconds at the start of a process can save someone a lot of time further along, reducing frustration and increasing joy at work. Is this just for clinical staff? It for everyone, from porter to chief executive, and includes patients and those working outside our organisations. But I’m so busy, how can I find the extra time? 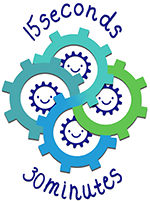 15s30m is a cycle – so your extra 15 seconds is helping someone else, and somewhere else in the organisation, someone will be spending 15 seconds to save you time. You may not ever see that person or be directly aware, much like the person you are helping may not know what you are doing, but the joy in work this could bring is well worth it! I still don’t quite see how this helps patients? 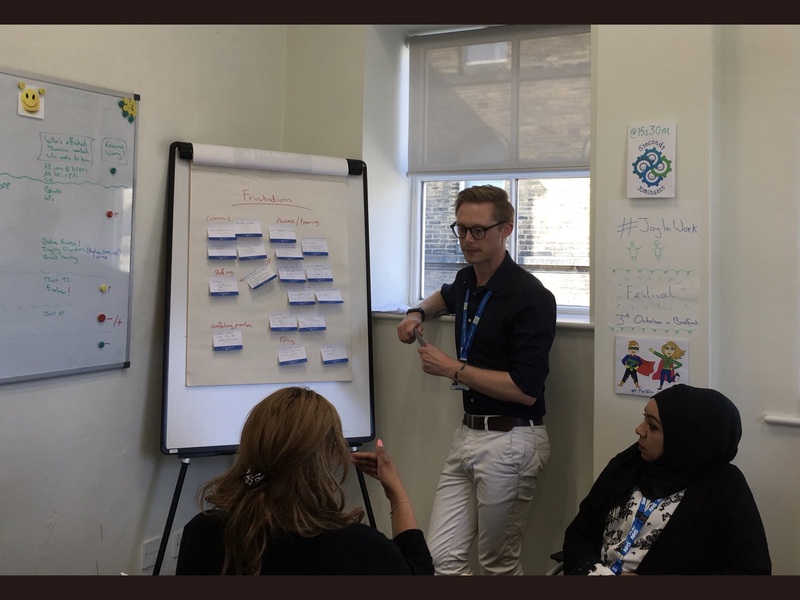 There’s loads of evidence to show that if staff are less frustrated at work they feel pride in what they are doing, they are able to fulfil their role effectively. They then provide better care for patients who have the best experience possible and better outcomes. So what sort of ideas are you looking for? We have a list of ideas called the 15s30m 100 mission list on this website or follow us on Twitter @15s30m– it can be simple things like checking your contact number is correct on email so people don’t spend time trying to find it, double checking paperwork before its sent to make sure it’s complete, restocking ward equipment when it’s running low so someone else isn’t caught out in an emergency – or simply refilling the kettle once it’s empty so everyone has a brew ready when they need one. It can be something you are already doing that you think other people could adopt to help them, or something you’ve always thought could make a difference but not known how to put it into action. I’ve had an idea – what do I do now? We’d love to hear from you – email us on info@15s30m.co.uk and we can help you get it up and running. 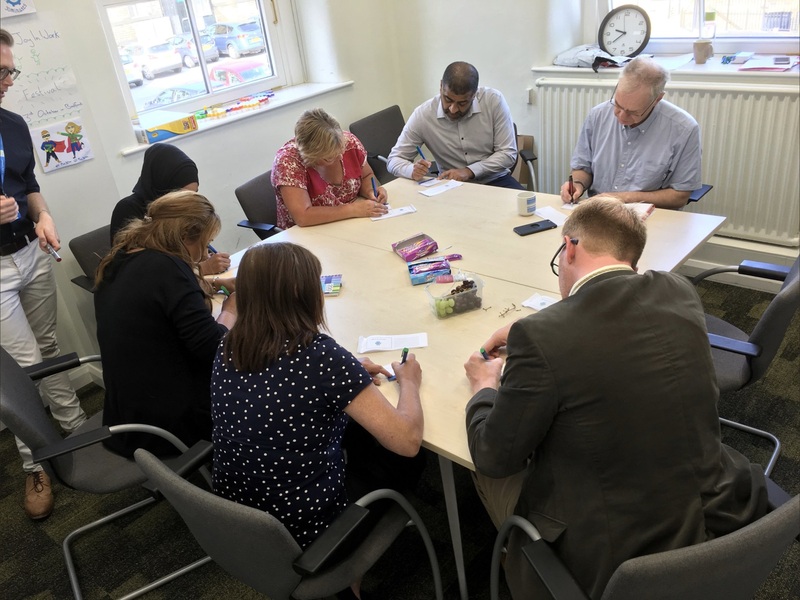 Tell us even if you’ve borrowed an idea from the list – we are keen to come and see changes in action and find out how it’s improved you and your colleagues working day. Tip for printing; when printing make sure you have changed your settings to print slides, 3 per page and the little lines will appear. So this will look like a cheque book once cut into strips. These timings are a rough guide, but please use our videos as the intro if you like.